Gastritis is an inflammation of the lining of the stomach. It is a troublesome condition which may lead to many complications including ulcers if not treated in time. Constipation aggravates the condition more than any other disorder. The inflammatory lesions may be either acute erosive gastritis or chronic atrophic gastritis. The latter type has been found to be present in half the patients suffering from severe iron deficiency anaemia. The main symptoms of gastritis are loss of appetite, nausea, vomiting, headache and dizziness.There is also pain and a feeling of discomfort in the region of the stomach. In more chronic cases, there is a feeling of fullness in the abdomen, especially after meals. The patient complains of heartburn. Prolonged illness often results in the loss of weight, anaemia and occassional haemorrhage from the stomach. There may be an outpouring of mucus and a reduction in the secretion of hydrochloric acid during acute attacks and also in most cases of chronic gastritis. The most frequent cause of gastritis is a dietetic indiscretion such as habitual overeating, eating of badly combined or improperly cooked foods, excessive intake of strong tea, coffee or alcoholic drinks, habitual use of large quantities of condiments, sauces, etc. It may sometimes follow certain diseases such as measles, diptheria, influenza, virus pneumonia, etc. Most often it also results from worry, anxiety, grief and prolonged tension. Use of certain drugs, strong acids and caustic substances may also give rise to gastritis. The patient should undertake a fast in both acute and chronic cases of gastritis. In acute cases, the patient will usually recover after a short fast of two or three days. In chronic condition, the fast may have to be continued for a longer period of seven days or so. In the alternative, short fasts may be repeated at an interval of one or two months, depending on the progress being made. The fast may be conducted on fruit juices. By fasting, the intake of irritants is at once effectively stopped, the stomach is rested and the toxic condition, causing the inflammation, is allowed to subside. Elimination is increased by fasting and the excess of toxic matter accumulated in the system is thrown out. Upon arising : A glass of lukewarm water with freshly squeezed lemon and spoonful of honey. Breakfast : Fresh fruits , such as apples, orange, banana, grapes, grapefruit or any available berries, a handful of raw nuts and a glass of milk. Mid-morning snack : One apple, banana, or any other fruit. Lunch : Steamed vegetables, two or three slices of whole meal bread or whole wheat chappatis, according to the appetite and a glass of butter milk. Mid-afternoon : A glass of fresh fruit or vegetable juice or sugarcane juice. Dinner : A large bowl of fresh salad of green vegetables such as tomatoes,carrots, red beets, cabbage, cucumber with dressing of lemon juice and cold-pressed vegetable oil, all available sprouts such as alfalfa seeds mung beans, fresh butter and fresh home-made cottage cheese. Bed time snacks : A glass of fresh milk or one apple. The patient should avoid the use of alcohol, nicotine, spices, and condiments, flesh foods, chillies, sour things, pickles, strong tea and coffee. He should also avoid sweets, pastries, rich cakes and aerated waters. Curds and cottage cheese should be used freely. Carrot juice in combination with the juice of spinach is considered highly beneficial in the treatment of gastritis. 200 ml. of spinach juice should be mixed with 300 ml. of carrot juice in this combination. Too many different foods should not be mixed at the same meal. Meals should be taken at least two hours before going to bed at night. Eight to 10 glasses of water should be taken daily but water should not be taken with meals as it dilutes the digestive juices and delays digestion. And above all, haste should be avoided while eating and meals should be served in a pleasing and relaxed atmosphere. Coconut water is an excellent food remedy for gastritis. It gives the stomach necessary rest and provides vitamins and minerals. The stomach will be greatly helped in returning to its normal condition if nothing except coconut water is given during the first 24 hours. Rice gruel is another effective remedy in acute cases of gastritis. In chronic cases where the flow of gastric juice is meagre, such foods as require prolonged vigorous mastication will be beneficial as this induces a greater flow of gastric juices. From the commencement of the treatment , a warm water enema should be used daily, for about a week, to cleanse the bowels. If constipation is habitual, all steps should be taken for its eradication. The patient should be given daily a dry friction and sponge bath. Application of heat, through hot compressor or hot water bottle twice in the day either on an empty stomach or two hours after meals , should also prove beneficial. The patient should not undertake any hard physical and mental work. He should , however, undertake breathing and other light exercises like walking, swimming, and golf. He should avoid worries and mental tension. 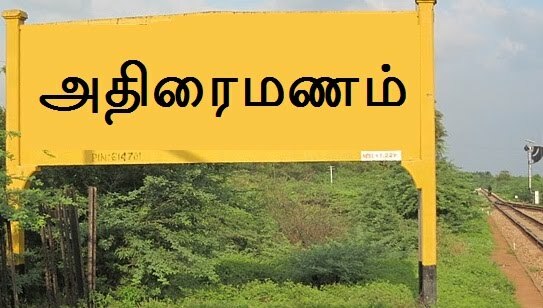 வந்தாச்சு கருத்து சொல்லாம போனா எப்புடி?